Welcome to Refresh Mattress Cleaning. 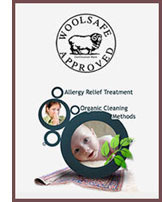 Experts in cleaning and sanitising mattresses across Australia. Our safe mattress cleaning system removes allergens and dirt, pests and most stains from mattresses. Call us now on 0488 963 678. Did you know we spend around one third of our lives in bed? Mattresses can contain up to 10 million dust mites inside and every night we breathe them in. Protect your family from allergies and irritants by having your mattress professionally cleaned and sanitised. Stains caused by sweat, urine, live dust mites, bed bugs, fleas or oily substances such as dead skin or makeup cannot be removed by vacuuming. Get your mattress professionally clean and sanitised today.